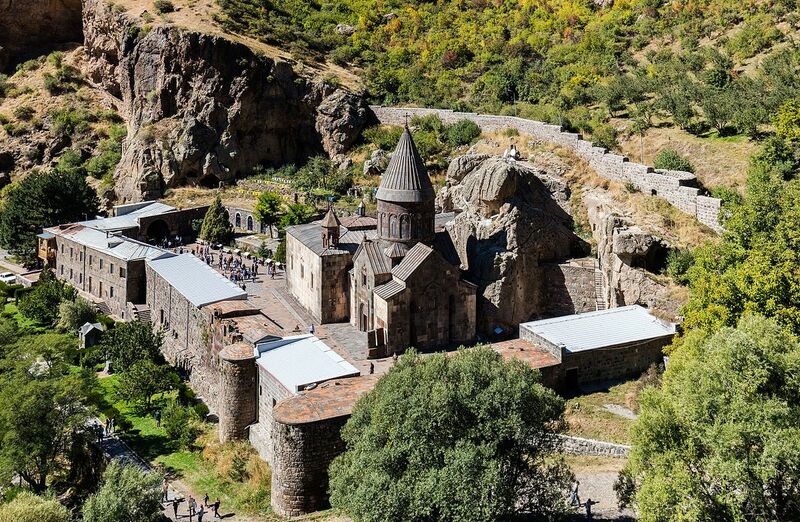 Go reveal the 4th century Geghard monastery which is cut into the side of the rock. 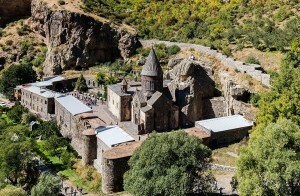 The name Geghard appeared because of the spear kept there, with the help of which the Roman soldier pierced the side of Christ. In Armenian, it is called “geghard”. Now the spear is situated in the museum of Etchmiadzin. 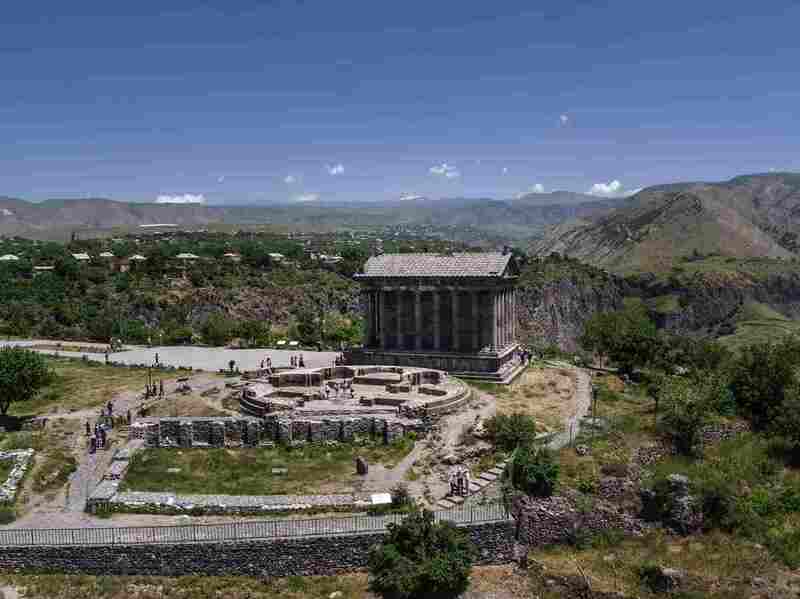 Don’t you want to get in touch with this mystery?Continue your wonderful tour to the 1st Century A.D. . Garni Pagan Temple which was once the summer residence for the Armenian Kings of the day. 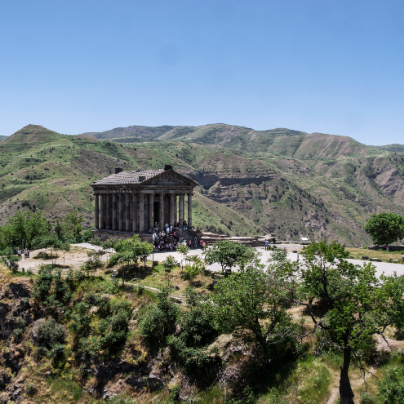 Garni is the only standing heathen temple in Armenia and also in the Former Soviet Union. The temple stands on a high plateau overlooking the gorge of Azat river. The plateau itself is incredibly beautiful and is included in the UNESCO World Heritage Site along with the surrounding area. It is also home to the Roman bath house with the mysterious mosaic, made out of 30,000 pieces of natural stones, as well as the ruins of the royal palace, dating back to the 3rd century A.D..